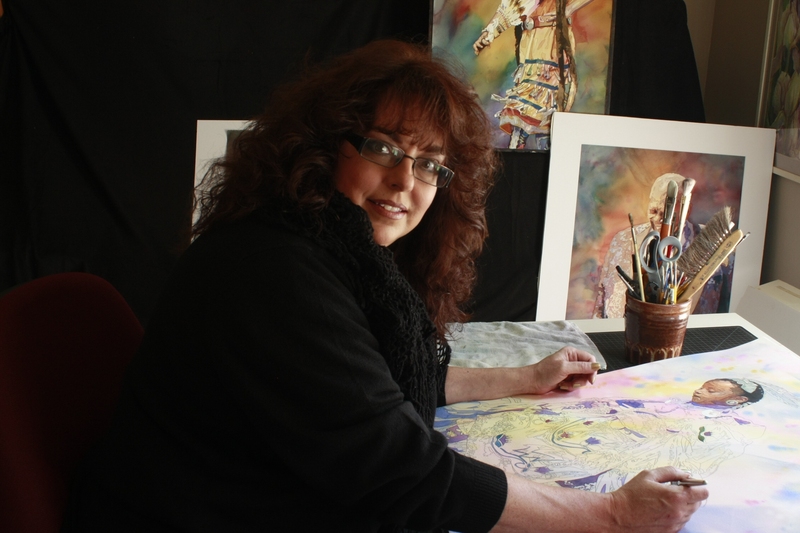 We are pleased to announce that West Virginia watercolor artist and teacher, Laurie Goldstein-Warren, will be giving a special presentation for the Baltimore Watercolor Society on the evening of Tuesday, October 20, 2015 beginning at 7:00 pm.m at the Hawthorn Center in Columbia, Maryland. 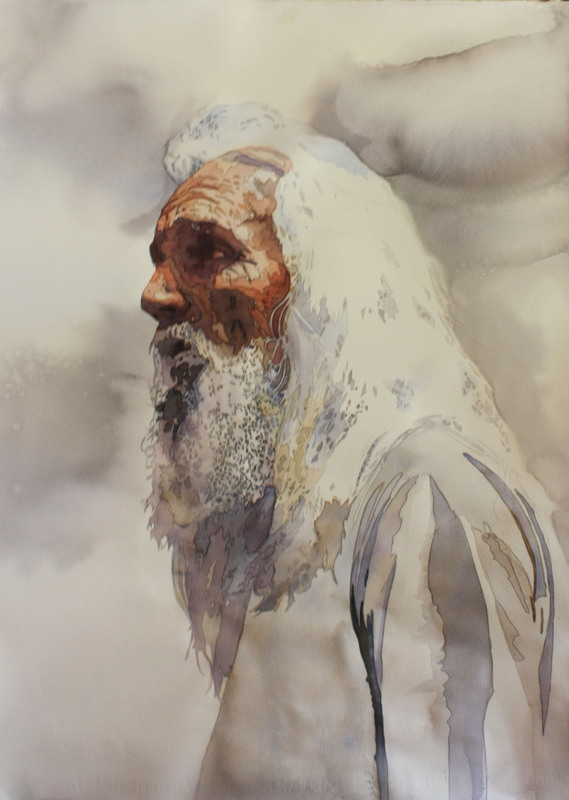 A signature member of multiple watercolor societies, Laurie's dramatic designs and amazing pouring techniques using watercolor and acrylic paints is immediately recognizable. 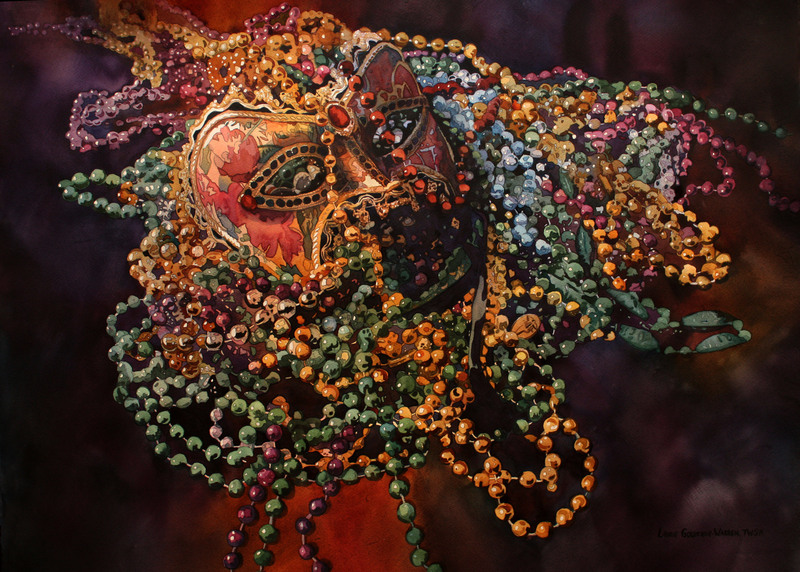 Not surprisingly, Laurie's work has won numerous awards and has been exhibited and collected across the United States as well as in Japan and China, while her workshops continue to grow in demand. I began to notice Laurie's work in 2014 when I saw her paintings exhibited and awarded well-deserved event prizes. What immediately caught my attention is her mastery of diverse subject matter - portraiture, figures, streetscapes, still life, non-objective - along with the way that she is able to synthesize materials and techniques to achieve amazing results in her work. Laurie commands the complete value range and her designs would never be judged "weak" or "undernourished." Her paintings have that "pop" that make them jump off the wall when seen from across the room. Check out her website at http://warrenwatercolors.com, and then register for her evening program to find out more about Laurie's painting process. Besides, where else will you ever be able to learn art from someone who has also competed in fantasy hair styling events in New York? Registrations for this event will open on September 2, 2015 for BWS members and guests. Registration for the general public will open on September 7, 2015. Price: $25 for all BWS members (including associates) and $25 for one guest; no refunds. Checks should be made out to Baltimore Watercolor Society: only a check or online sign-up will reserve your spot!